Following reports of reduced demand for components from Apple's suppliers, it has become clear that expectations for the iPhone X have exceeded reality. It is expected that Apple will show just 2 percent growth in smartphone sales compared to last year during the first quarter. It is estimated that third quarter unit sales will go down by up to 5 percent year-over-year. Not even Apple can avoid the drop in sales before the announcement of a new lineup of devices given its predictable release cycle. Apple has employed the strategy of releasing red iPhones around halfway through their product life cycle to regain some new publicity. Despite efforts to kindle new sales, there are few improvements to show. Executives are still going to be forced to answer to investors at tomorrow's earnings call and during the third quarter as to why original predictions have not closely matched sales figures. 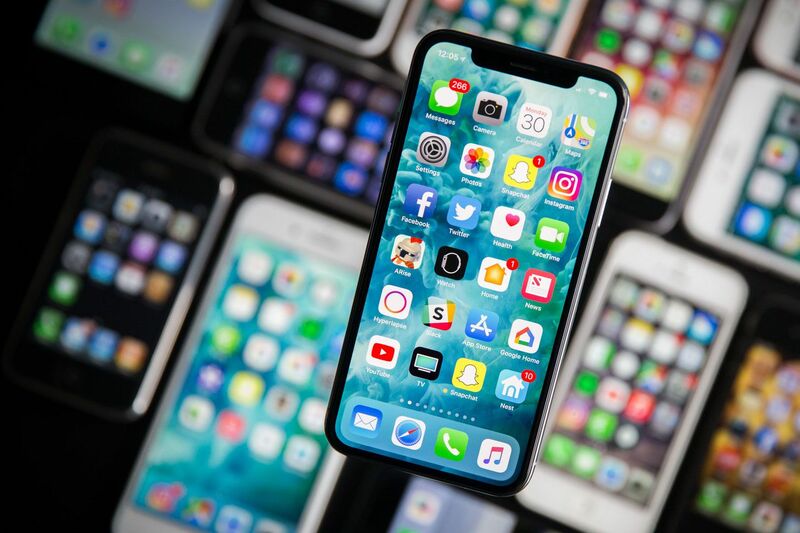 Come Fall this year, Apple is expected to release a 6.5-inch iPhone as well as a refreshed version of the iPhone X. To maintain hefty profit margins, the use of LCD panels and aluminum housings are likely instead of the more expensive OLED panels and stainless steel. Even though the iPhone X starts at $999 and the iPhone 8 starts at $699, the iPhone X only costs around $115 more to produce. 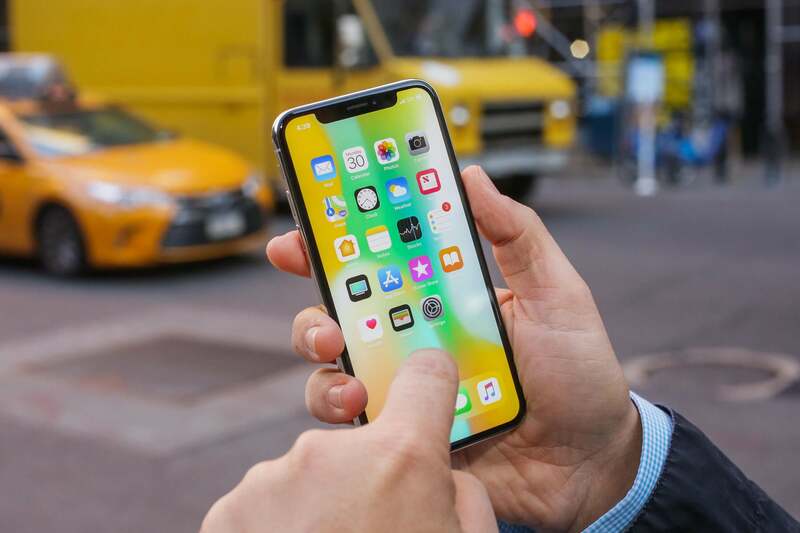 Analyst predictions show that the average selling price of an iPhone during the second quarter of 2018 will be $740. This only gets worse for Apple during the third quarter, with average sale prices plummeting down to $691, indicating very few iPhone X units will be sold by comparison. At the end of the day, there is one factor that the vast majority of consumers cannot completely overlook: price. With high launch prices and a handful of proprietary accessories, Apple must not alienate the mass market by becoming too expensive to buy. wiyosaya, JaredTheDragon and alabama man like this. Who here is hyped about literally the same phone but in a different color? I am losing my ****, can't wait! Burty117 and alabama man like this. Edit: not talking about a "budget gaming laptop", which is what around $1000 would get you. I don't know. $800 gets you something with a 7300HQ, a GTX1050ti and a 1080p screen. Probably get a machine on sale with a GTX1060 for $1000. That's plenty of gaming laptop for many. Burty117, JaredTheDragon and alabama man like this. Price aside, if customers are expected to pay a premium, it better be something they like/want... and I’m pretty sure many will agree they want a notch free phone. Maybe even iphone drones are finally figuring out they are overpriced, for the value you receive. were paying more for a NAME than anything else, and others came in to replace it. still a plastic, metal & glass rectangular slab. Drop the price, make a less profit and you'll move more product. But, as with any publicly traded company. Stockholders & beancounters control the company. Unlike when SJ ran things. I just bought a Dell laptop with a 1060 inside for 800 USD. It runs GTA V on high witout any issues and has HDMI so it was plug and play with my TV. The GF has never been happier. It runs much better than the old ASUS ROG with the 970m. JaredTheDragon and alabama man like this. True its Pricey, in large part thanks to only one vendor for OLED screens, a vendor who is overcharging because they have a monopoly on production (oh and use them in their own phones to competitive advantage). And new technology in the form of the FaceID cameras, that no one yet has, so the costs are still high. If only Apple made less expensive phones to compete, they could call them the iPhone 8 and 8+ (just saying). And if incremental speed improvements are not worth anything, they could sell last years model, which must be fast enough, they could call it the iPhone 7, and 7+ (maybe). The iPhone X is literally the best phone I have every used. Its like using an phone which is unlocked, yet it has a higher level of security than Touch ID, and certainly 2d photo recognition phones. And no, I haven't used every phone in the world, some of which have excellent reviews and high customer loyalty, so I'm sure they are good phones as well. People buy Apples because they like the way all the products work in a well-thought out and integrated way - not because they are stupid morons. As an example, I unlock my phone, it unlocks my watch which unlocks my MAC. I control my HomePod from my Mac, watch, phone, and Siri. Anyone can point to this product does this better, and this product does this cheaper, true enough, but not true enough to get me to jump to a phone with a marginally better camera on some measures and lower on others that is a few hundred cheaper up front and give up what I like. The fact is that when other products are better, they are marginally better, when other products are cheaper, they are either marginally cheaper for equivalent quality, or cheaper because they are cheaply made. If I wanted that, couldn't I just buy last years products? Where have you been? it is 2018 and we now have gaming laptops that are $700-800. This has been a trend over the last 3 years, 2012 $800 got you a mid tier 640 or 740m gpu with a dual core i5, now it gets you a gtx 1050ti and a 4 core i5 or sometimes a 4c8t i7. Dell, Acer, HP, Asus all of them are running gaming laptop lines in this price range. JaredTheDragon, fl21289 and Panda218 like this. That very much is not true. The parts cost will be less than 50% of the retail price (like usual). Apple can afford to drop the price by a couple hundred and still make a big profit, but they're more a fashion brand, so the high price is what you pay to show off the Apple logo. You can play decent games on a lower priced laptop (edit: aka a "budget gaming laptop"), yes. But these days being "VR ready" is what's considered a worthy "Gaming Laptop". Anything lower than a 1070 currently won't keep up. But these days being "VR ready" is what's considered a worthy "Gaming Laptop". Nope. Only in your definition! I certainly don't define a 'gaming laptop' as a machine that must be fast enough for VR. I suspect that very few will agree with your definition of what makes a laptop suitable for games. And the focus is a worthy gaming laptop. One that plays the latest and greatest performance heavy games. Edit: not talking about a "budget gaming laptop". You can play decent games on a lower priced laptop, yes. But these days being "VR ready" is what's considered a worthy "Gaming Laptop". Anything lower than a 1070 currently won't keep up. Umm no, being able to play games well is what makes a gaming laptop and gaming laptop. You can spend $800 on a laptop and get one that is significantly worse at gaming than the budget lines. Seeing as less than 1% of the steam user base is using VR headsets I don't think VR capability means much of anything to PC gamers looking at laptops. I found face ID to be a giant waste of my time when I tested an iPhone X for couple of weeks at work. I much prefer using a Bio scanner like my pixel 2 or iphone 6s uses as I can unlock the device before its even out of my pocket. Then call it a "budget gaming laptop". It would make more sense. Or just call it a gaming laptop, and by saying the price anyone with knowledge about laptops and gaming laptops would already know it's a budget gaming laptop. Do I have to call the Toyota Yaris a "budget Car" every time I talk about it? No I call it a car, anyone with knowledge of cars and the car market knows it's a budget car after knowing the price. Horrible comparison. It would be more like trying to call a Toyota Yaris a sports car because it can drive fast. Heck, calling it a "budget sports car" would be hilarious. Negative sir, you can get a well bada$$ gaming laptop for around 800-1000 these days. Just keep an eye on Slickdeals, brands like Acer, Asus, Dell, Lenovo and HP go on great sales daily. I'm not talking about lightweight gaming laptops which will cost around 2000. So, you can find a $1000 laptop with a 1070 minimum? 1050's and 1060's would be considered budget (last I heard). Ps. nothing wrong with budget, but if you say you have a new(er) "gaming laptop", I personally would expect a 1070 or 1080 in 2018.
please stop. you're not making any sense. 1060s are definitely not budget. Playing VR is NOT a standard in the gaming community. The fact that you have a dedicated video card already makes that laptop a gaming machine. You want to justify Apple's prices so hard that you can even make sense anymore. A thousand dollars for a social media, messaging, photo machine is completely insane. Under $400 for your graphics card is budget these days last I checked. And congrats on not knowing what the difference is between a budget gaming laptop, a gaming laptop, and a laptop. Running VR is the new Crysis. But the most hilarious thing about your reply is that you're suggesting I'm justifying the Apple tax? Why don't you try again. Because it also seems like you don't know Apple (since their $1000 machines are usually used for exactly what you just said is "completely insane" lol). Perhaps this is an indication that crApple is out of touch with its sheep?